Last Friday, commenting on the breaking news, the leaders of the region have expressed in unison, with a few exceptions, their determination to continue following the European path, while acknowledging the impact of the UK referendum. "Today we witness the biggest political upheaval since the fall of the Berlin Wall, but our country continues its path towards the European Union," stated at a press conference Aleksandar Vučić , the outgoing prime minister in charge of forming the new government after the elections on 24 April. On the possibility of an accession referendum in Serbia, Vučić stated that the outcome of the recent election expresses a clear message. "The electorate has voted in favor of stability, and the referendum on EU accession will take place a year before entry." Similarly, the President of the Council of Ministers of Bosnia and Herzegovina, Denis Zvizdić , has expressed his willingness to continue on the current path, seeking to minimise the potential impact of Brexit: "The UK has made a fundamental contribution, together with Germany, to boost our country’s proximity to the EU. Despite having lost a vote in favor, we have not lost the support of an ally who will continue to pressure in favor of our European path. Our priority remains unchanged, and it is the integration within the European Union. Many will wonder why some countries want to join the EU now that one of its most important members is to leave it. The reason is that 80 percent of BiH citizens supports this choice. " As did Vučić and Zvizdić, the leaders of Albania, Macedonia and Montenegro also reaffirmed their commitment to Europe. The reactions in Turkey, on the other hand, had a different tone, marked by the recent discontent caused by the delay in the visa liberalisation procedure, foreseen by the EU-Turkey deal on the refugee crisis. Commenting on the outcome of the referendum, Turkish president Erdoğan said that resistance against Ankara's European course is caused by a widespread attitude of islamophobia, which, if not revised, will lead other countries to want to leave the EU. Notwithstanding the strong reactions by the leaders in the region aimed to minimise the potential impact of Brexit, three days after the vote first concerns started to emerge. With Serbia in the process of opening negotiations for chapters 23 and 24, this long-awaited step is likely to further slip away, now that along with bilateral issues postponing it, political energy is likely to be diverted to handle the UK’s exit from the EU. And this could be the first in a long series of delays. 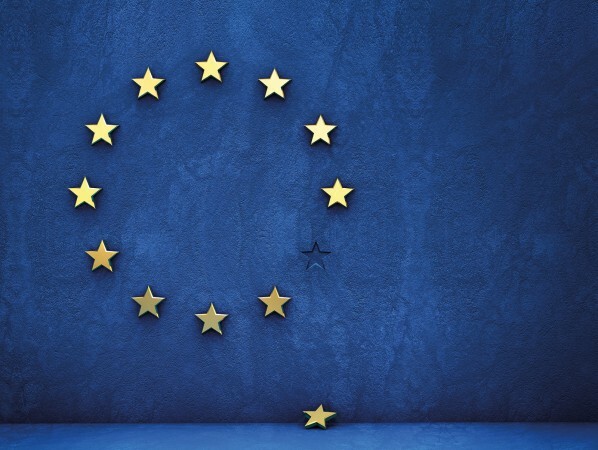 Envisioning the possible scenarios resulting from last Thursday's vote, Professor Florian Bieber expects that in any case Brexit will have a negative impact on the enlargement process. "Even if the UK manages to remain united and retain some kind of “membership lite,” the pull of accession and the EU’s influence on the trajectory of reforms in the Western Balkans will be much diminished. Brexit will damage the EU enlargement process and therefore the development of democracy in the Western Balkans. The main question is not if the Brexit will damage EU accession and more importantly the development of democracy in the Western Balkans, but how much and for how long. This technical process has lost much of its political support in the EU." Moreover, according to the professor of the University of Graz, "As a technical process, the enlargement has lost much of its political momentum. The countries of the Western Balkans are losing a key advocate of enlargement. As many member states have become critical towards enlargement, the UK has promoted both enlargement and reform in the region vigorously. Together with Germany, it has been the only large EU country to drive EU policy making the region in the past decade. Now this advocate of enlargement will disappear." Bieber’s analysis continues by outlining three future scenarios, in which the variables are the UK's and the EU’s ability to preserve their integrity following Thursday's vote. Whatever happens, foresees Bieber, the effort required to redefine the relationship between the UK and EU will absorb the attention of Brussels for a time to be determined, diverting energy from the enlargement process. But the worst case scenario is not the only possibility. Commenting on the outcome of the referendum for TV N1, Idro Seferi , a correspondent for the Albanian Top Channel from Belgrade, believes that Brexit can have positive effects for the Western Balkans, encouraging member states to consider the possibility of enlargement more seriously. With London out, Germany remains the main actor, and it has shown support for the European ambitions of the countries in the region. "As for the Balkans, adds Seferi, the main problem is that 50 percent of the population wants to leave their own country." Last Friday, from Vienna, the Enlargement Commissioner Johannes Hahn reassured that the work of the Commission continues: "Much has been achieved in the Balkans in recent years, and there is no reason to leave room to fatigue and frustration after the referendum in the UK”.